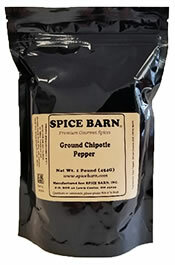 Usage: Use in enchilada sauces, chili, stews, barbeque rubs. Their smoky quality combines well with poultry, meats, etc. Great for rubs and spice blends. One and one half teaspoons equals 1 chipotle pepper.